The Tamil team will face the Telugu heroes in a Zone B match tonight. The Tamil team is disgusted after a pounding from Mumbai with a 36-24 loss and is at the base of Zone B table with 20 points. On the other hand, Telugu is coming from a win against Pune and are on the fourth spot in the Zone B table with 30 points. Ajay Thakur was their best raider against Mumba and scored 7 points while Athul MS contributed with 4 points subsequently, to begin with. Sukesh Hegde failed to have an effect and scored only 1 point, while Pratap scored 2 raid points and 1 tackle point. The Tamils are yet to make sense of their raiding mix and the promising finish to the present course of action is gradually blurring, and they need to put in great performances before they detract completely. Their defense was poor once more and Ponparthiban was their most noteworthy defender scoring 2 points while Manjeet Chillar, Amit Hooda and Pratap scored 1 point each. They have to buckle up and play better if they harbor any desires for winning matches ahead. The Telugu raiders were great against Pune in a tight match, and Rahul Chaudhari drove the route with 8 points, nearly pursued by the brilliant Nilesh Salunke who scored 6 points. Krushna Madane in the left corner, who replaced the injured captain Vishal Bhardwaj, scored 4 tackle points and looked in a fine shape, while right corner Abozar Mighani scored 3 tackle points. Anil Kumar and Farhan Milaghardhan snatched a point each. 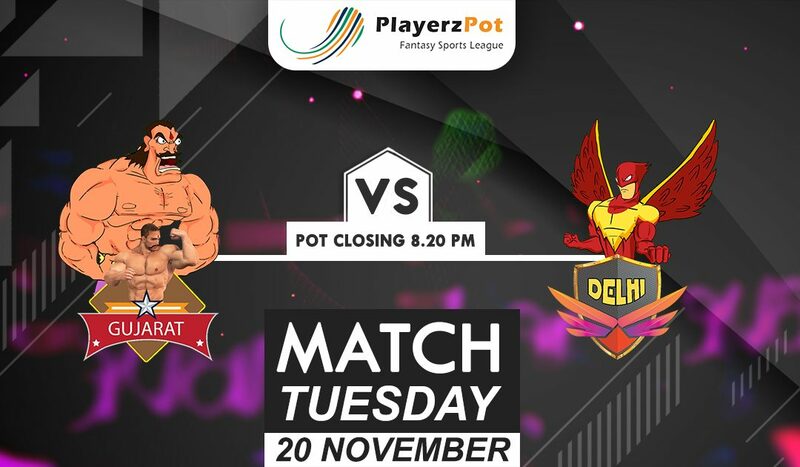 Both the groups will search for a win in this southern derby tonight and the Tamils must understand that each match is an unquestionably required win for them now if they want to meet all the requirements for the playoffs, while the Telugu team should simply hope to broaden matchless quality over their adversaries and be high on their certainty. Nilesh Salunke’s has the ability to contribute the extra points at whatever point required and that positively makes him extremely creative for his team. Athul has developed himself as an excellent player and he will be required to cast his spell on the youthful raiders from the defense of the opposition tonight. Hooda who has been viewed as a solid defender had his high and low points but he would be hoped to do well at tonight’s match. Mighani has been magnificent with all due respect and his marvelous performances make him a decent expansion for the Andhra group. Anil Kumar has enormously added to the defense methodologies of the group and he would again have the spotlight tonight. Chhillar will expect to throw a dire effect in the match from the Tamil’s spectrum with his brilliant performance. Mohsen’s lithe raiding and thunderous defending skills would be the most wanted element in tonight’s match for his team. The Telugu brigade is more likely to win tonight’s match.